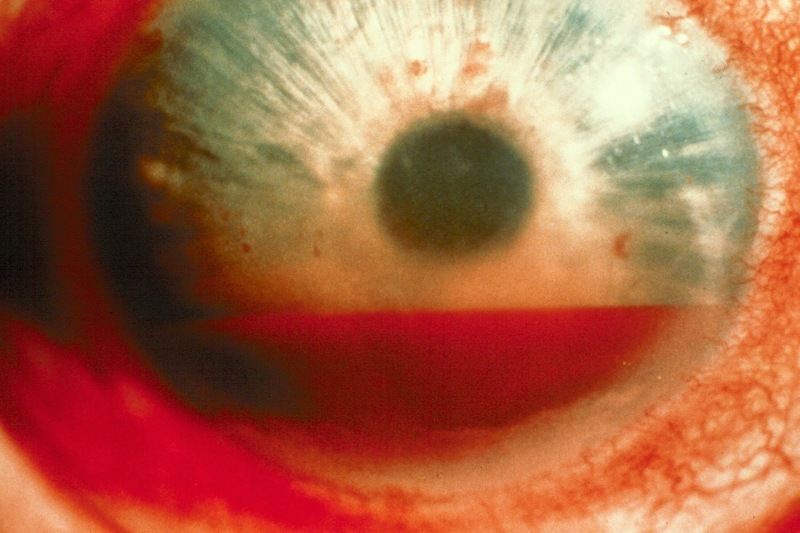 Hypthema, or blood in the anterior chamber of the eye, is not something that EMS runs accords daily. But, it is important to understand what hyphema is. Causes of the hyphema, include trauma to the eye or head, cancer of the eye, blood vessel rupture or damage, inflammation or infection of the eye, and sickle-cell disease. If you are treating a trauma patient, and you note hyphema, assume that the patient has a major head injury. On assessment, you will note that their is faint or major blood pooling in the eye. This blood os accumulating in the anterior chamber of the eye. In addition, the patient may experience eye pain on the affected side, vision abnormalities, and light sensitivity. Overall, their is really nothing we, in EMS, can do for these patients. If it is caused by trauma, than take all spinal precautions and rapid transport. But, if no trauma is suspected, than supportive care should be offered, unless otherwise specified or cause. If severe enough, these patients may need to be coded into the ED for evaluation and treatment. In minor and mild cases, the blood is usually absorbed within a few days.